For over 150 years, generations of the extended Rothschild family have been successfully breeding and racing thoroughbreds in England and on the continent, most notably France. Down through the years many classic winners, noted stallions and important broodmares emerged from the Rothschild studs. This essay, prepared by the Rothschild Archive, provides an overview of the family's racing and breeding activities. A separate essay covers some of the grand horses bred at Haras de Meautry, the principal Rothschild stud in France. "Of course the gentlemen, on their return from the far east, talked of the races. You know, in my heart of hearts, I hate racing, convinced as I am, that it is, even far more perilous than the roulette-table, that it ruins hundreds if not thousands of men, body and soul, mind and purse - yet I was sorry that Uncle Mayer did not carry off the laurels of the day." It can perhaps be argued that the interest of the English Rothschild family in horses was in large part due to the actions of Hannah (1783-1850), wife of Nathan Mayer Rothschild, the founder of the London bank. Towards the end of the 1830s she began to complain that her sons were pasty-faced from spending so much time indoors and that their luxurious lifestyles were causing them to put on weight.2 Hannah decided that the best exercise would be to ride to hounds. She bought some land near Aylesbury and thus launched a Rothschild invasion of Buckinghamshire. In 1840, Nathan's son Anthony (1810-1876) began to own and compete race horses, with one of his horses winning the Champs de Mars in Paris in that year. The move into horse racing was a natural one, demonstrating the family's social pretensions at that period as the pre-eminent owner in Paris was the Duc D'Orléans and in England, the Prince of Wales. But Mayer (1818-1874), evidently inspired by Anthony's success, began to race avidly. In 1843 he registered the Rothschild racing colours of dark blue and yellow. As his interests became increasingly concentrated on the turf he set horses to train with John Scott, before establishing his own training quarters at Russley Park in Berkshire in 1853. 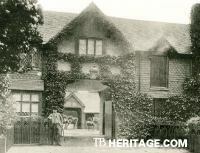 The training centre was later moved to Newmarket. He also began to breed horses, establishing a stud farm at Crafton, near Mentmore. Considerable success followed. In 1871 Mayer's horses won four out of the five classic races: the Derby (with Favonius), and the Oaks, the Thousand Guineas and the St Leger (all with his mare Hannah). It became known as 'The Baron's Year'. His total winnings in this year were estimated to be £25,000 in stakes alone, for he rarely bet. Mayer never allowed cost to stand in the way of a good horse and thus was able to improve systematically the breed. It is reported that General Peel once informed the House of Commons that he had just seen a dozen horses in Baron Mayer's stables and that any one of them could carry sixteen stone across any racing country in the world.5 One of Mayer's most successful horses, King Tom, was immortalised in a bronze statue which was erected at Mentmore, his country seat. After Mayer's death, the stud was supervised by his brother, Anthony, for Mayer's daughter, Hannah. When she married Lord Rosebery in 1878 the Crafton and Durdan stables were united, with notable results for Rosebery. Mayer's nephew Leopold de Rothschild (1845-1917) was his obvious successor in the field of horse racing. He had become a keen race-goer during his college days at Cambridge, with regular trips to Newmarket. The more desperately his mother urged him to study 'something - drawing, painting, music, languages' - the more his interests turned elsewhere, principally to the turf.6 Leo had inherited several houses and estates - 5 Hamilton Place in London and Gunnersbury to the west of the capital from his father, Lionel, and Ascott in Buckinghamshire from his uncle. He acquired Palace House in Newmarket, possibly from his father, which became his spiritual home. Here, the Prince of Wales often stayed with him along with many prominent figures of the day. Leopold took over the running of his father's stud at Gunnersbury in 1879, the year of his father's death, before moving it to his own estate at Ascott. It became the Southcourt Stud farm, near Leighton Buzzard, from where many winners were bred. Leopold bred for his own private stable rather than for the public sale ring and although he won big prizes on the racecourse it is likely that his hobby cost him more than he received in the form of prize money. His trainers included Tom Cannon, his son Tom Cannon jnr, Joseph Hayhoe and John Watson. Hayhoe had previously trained Favonius and Hannah. Leopold registered the Rothschild colours of dark blue vest and yellow cap in 1879 in his name. He was renowned for his keen participation in the sport and made no pretence of concealing his delights and disappointments. An easily-recognizable figure at the racecourse, his emotions endeared him to the public. Leopold's racing career began gloriously, even if it was really his father's victory. In 1879, not long before Lionel died, an unknown horse named Sir Bevys won the Epsom Derby. It transpired that the owner, a 'Mr Acton', was actually Leopold de Rothschild who had entered one of his father's horses in the race. Following Lionel's death, Leopold raced the horses in his own name. It was rumoured that Leopold won nearly £50,000 on this particular race, owing to a few bets made at heavy odds. 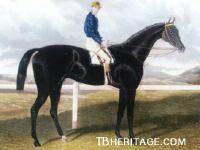 Leopold's next great hope for the Derby was not until 1896, when his horse, St Frusquin, entered the race as favourite. But after a close race, St Frusquin was beaten by a neck by the Prince of Wales's horse, Persimmon. At their next meeting St Frusquin was the victor; but his nerve failed in training for the St Leger and so there was not to be the eagerly awaited public rematch. In tribute to the horse, Marie, Leopold's wife, had a silver model cast of him by Fabergé for Leopold's 67th birthday. Twelve smaller bronze figures were made for friends. Despite St Frusquin's uneven performance, Leopold headed the list of winning owners in 1896, with some £46,766 to his credit. Leopold's son, Anthony (1887-1961) inherited Palace House in 1917. Following the Second World War, under an arrangement with the Jockey Club it was used by the Royal family as a racing residence. More recently, the property was acquired by the local District Council who renovated the original 17th-century part of the house. Palace House is now Newmarket's Tourist Information Centre and exhibition rooms. In the twenty-first century, the Rothschild family is still very much involved in horse-racing and breeding. Southcourt Stud is still owned and run by a direct descendant of Leopold de Rothschild, and training grounds at Newmarket are still retained by other members of the family.